Borderlands 2 is out, and most people really, really like it. We do too! You can read all about it in our Co-Op Review. Heck, you can even get all the co-op details in our Co-Op FAQ. But if you're like some of my very best friends, you may not be into the whole "reading thing." Who has time to read in this day and age? What you need is someone to vocally summarize the review while blasting your face with fancy moving images! We got you covered. Enjoy! Big thanks to Locke Vincent for putting this video together. 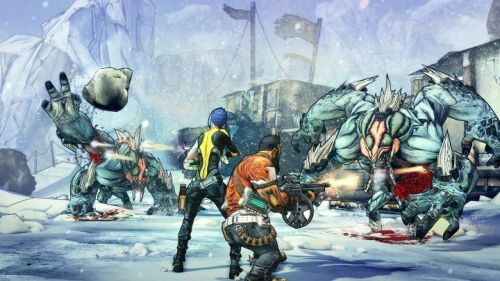 In case you missed it, Borderlands 2 supports two player local co-op, four player online co-op, and combo co-op. It is available now for the Xbox 360, PlayStation 3, and PC.